If you are looking for a practical book to answer all the How, Why, and What, questions about personal money management, then this book is for you. In The Seven Money Lessons to Your Financial Makeover, Grace Hayes unpacks the A to Z of budgeting, saving, spending, investing, debt, insurance and housing options. She also sheds light on healthy money habits that we can develop to help us live a life we can afford without being buried in debt, worry, and stress. 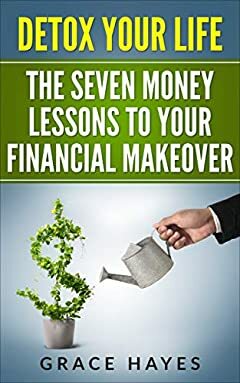 The Seven Money Lessons to Your Financial Makeover is full of practical and straightforward advice that will offer guidance on paying debt effortlessly, smart saving and the right way to involve your family in money management. Unlike many personal money management books out there, this book is a quick and easily digestible read that focuses on main money lessons everyone needs to know. The tips and advice in the book are practicable and learned by the author herself as she navigated through a tough financial life.